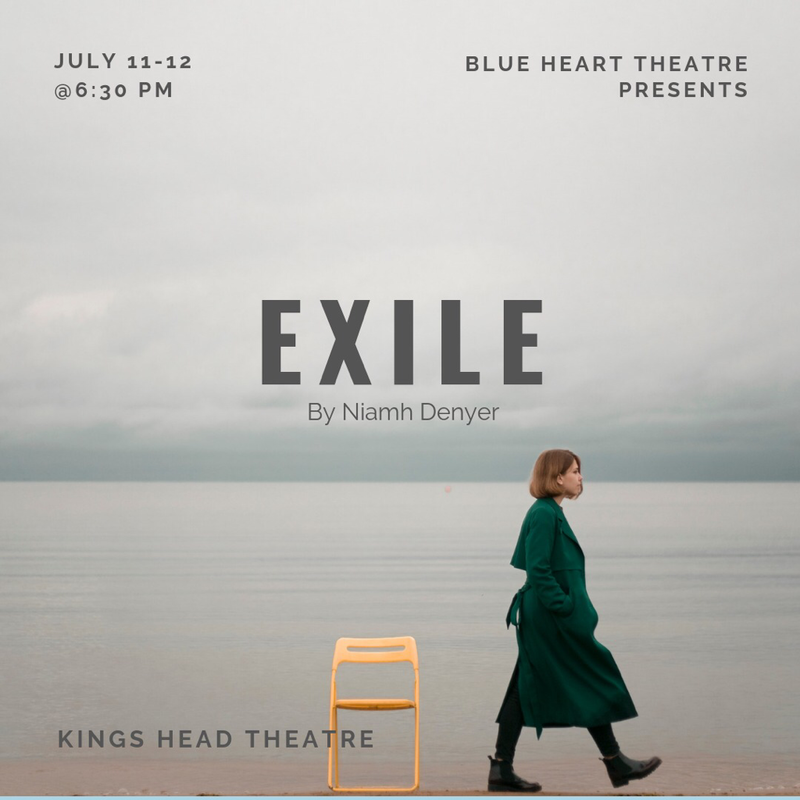 Exile, by company member Niamh Denyer makes its debut at the Playmill Festival at the KIng’s Head Theatre, London. We are delighted to announce that our next production will be a new play by company member Niamh Denyer at the King’s Head Theatre in Islington, London, as part of the Playmill Festival on Thursday 11th and Friday 12th July at 6.30pm. It’s 2016. Donna’s life is thrown into disarray when she discovers she’s pregnant, forcing her to make a secret journey from her home in Ireland to England to get the help she needs. Having not told her mum, and with her best friend unable to go with her, she is entirely alone. Darren drives a taxi, is married to Lesley, and they’re trying for a baby. But when he bumps into his teenage love, the secrets of his past come hurtling into the present, threatening to disrupt it all. Donna and Darren’s lives overlap for the briefest of moments, yet the impact she has on his will last forever. Exile explores the idea of home and identity and the choices one must make when the two collide.